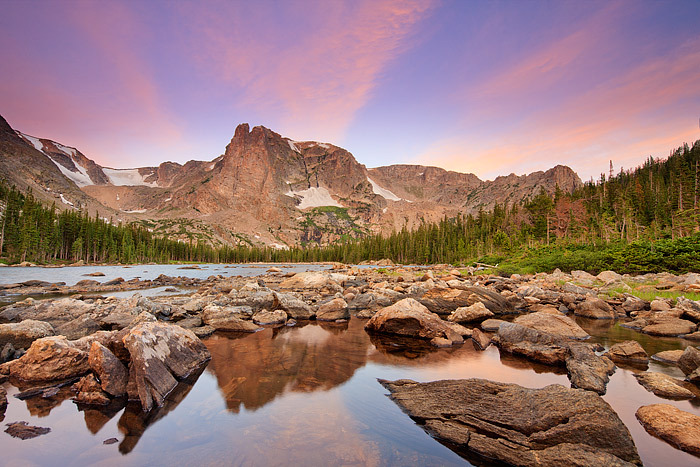 High clouds streak over Notchtop Mountain and Two Rivers Lake just before sunrise in Rocky Mountain National Park. The high cirrus clouds over Notchtop Mountain took on a beautiul magenta and red hue before the sunrise illuminated Notchtop Mountain and Two Rivers Lake. Photo © copyright by Thomas Mangan.